It’s that time again — time for the pandemic outbreak propaganda machine to cry “Wolf!” and justify the mass use of vaccines and the necessity for chemical remediation. The World Health Organization (WHO) has already declaredanother global public health emergency.1 We’ve seen a string of these over-hyped virus scares over the past six years, from the bird and swine flu to Ebola — all of which died down as suddenly as they emerged, without causing the predicted widespread catastrophic damage in the real world. This year, it’s the Zika virus, which is being blamed for a rash of reports of microcephaly2,3 among infants born in Brazil. The condition, in which babies are born with unusually small heads, is said to have surged from an average of about 150 cases annually to more than 4,780 cases since October 2015. As noted by The New York Times, there’s actually very little scientific evidence tying the Zika virus to this particular condition. Still, the World Health Organization (WHO) declared the Zika virus a global health emergency5 on February 1, noting that the “main worry” is the virus’ potential link to microcephaly and subsequent brain damage. According to WHO, the Zika virus may have infected as many as 4 million people in the Americas, and public health officials in Brazil, Colombia and El Salvador are reportedly all researching the effects of Zika infection in pregnant women. The Zika virus was initially identified in 1947 in Uganda, where it was originally limited to rhesus monkeys. It’s an arbovirus, meaning the disease is transmitted via mosquito, tick or flea bites. According to ATCC,6 a “global biological materials resource…organization whose mission focuses on the acquisition, authentication, production, preservation, development, and distribution of standard reference microorganisms,” the Zika virus7 — which they sell for about $500 — causes paralysis and death. Between these factors and the lack of sanitation and widespread vitamin A and zinc deficiency, you already have the basic framework for an increase in poor health outcomes among newborn infants in that area.11 Environmental pollution12,13 and toxic pesticide exposure have been positively linked to a wide array of adverse health effects, including birth defects. When you add all these co-factors together, an increase in microcephaly doesn’t seem like such a far-fetched outcome. Vitamin A and zinc deficiency is considered endemic in Brazil,14,15,16 and both of these nutritional deficiencies are known to depress immune function.17,18,19 More importantly, vitamin A deficiency has been linked to an increased risk of microcephaly specifically,20,21 and zinc is known to play an important role in the structure and function of the brain.22 Even the U.S. Centers for Disease Control and Prevention (CDC) lists malnutrition and exposure to toxic chemicals as two of the three known risk factors. The third is certain infections during pregnancy, including rubella, cytomegalovirus, toxoplasmosis, and others.23 Researchers24 have also noted that microcephaly follows “an apparent autosomal recessive pattern,” and may be the result of a recessed gene. The most obvious cause of birth defects in this area is direct contact and absorption of pesticides. A study of pesticide use on tomatoes27 in the Northern State of Pernambuco, Brazil, indicates high exposure to pesticide workers and poor application methods which threaten the ecology of the area. Women washed the pesticide application equipment, generally in the work environment, without protective clothing or without observing the recommended three-fold washing process … Of the women workers, 32% reported being pregnant more than five times … Almost three-quarters of the women (71%) reported miscarriages, and 11% reported having mentally and/or physically impaired offspring. Malformations detected in thousands of children from pregnant women living in areas where the Brazilian state added Pyroproxyfen to drinking water are not a coincidence, even though the Ministry of Health places a direct blame on the Zika virus for this damage. The list of pesticides that have the potential to disrupt fetal development is long. Yet another suspect is Imidacloprid, a neonicotinoid. In October 2012—around the same time that these women would have been getting pregnant–Brazil lifted its ban on aerial spraying of neonicotinoids. In30 2001, it was reported that Imidacloprid fed to pregnant rats and rabbits in “maternally toxic” doses caused skeletal malformation in a small percentage of fetuses.31,32 In December 2013, the U.K. Daily Mail33 also reported that neonicotinoids were suspected of causing developmental problems in babies and children. Another 2013 study34 showed adverse events with embryo development and neonicotinoids. Perhaps it’s not any single one of these pesticides that is to blame. Perhaps the rise in microcephaly cases is the result of exposure to a terrible mixture of toxic pesticides before or during pregnancy? Interestingly enough, the Gates Foundation has also financed the development of genetically-engineered (GE) mosquitoes,44designed by a biotech company called Oxitec to combat dengue fever and Zika — a project some suspect may have somehow backfired, resulting in a Zika outbreak instead.45 Considering the fact that the transgenic mosquitoes are designed to kill the offspring before they reach breeding maturity — they’re carrying a “suicide” or “self-destruct gene”46 if you will — you may wonder how such mosquitoes could possiblypromote the spread of Zika. Well, they can’t. Not intentionally, anyway, which is what some people have suggested. There are some potential problems though. This genetic “kill switch” starts to fail in the presence of the antibiotic tetracycline.47 Brazil is the third largest consumer of antibiotics for food and animal production48 and, according to a 2009 analysis,49 an estimated 75 percent of the tetracyclines administered to farm animals end up being excreted in waste. The use of manure and sewage sludge as fertilizers is a major route of spread of antibiotics in the environment. (Little is known about the environmental impact of tetracycline, but Brazilian researchers50 have found alarming situations where the presence of these drugs in drinking water has resulted in bacterial resistance.) According to Oxitec documents,51 in the presence of tetracyclines the survival rate of the GE mosquitoes’ offspring may be as high as 15 percent. However, aside from not decimating the mosquito population as efficiently as intended, there’s really NO evidence to suggest that these GE mosquitoes are somehow intentional carriers of the Zika virus. That said, while the GE mosquitoes are supposed to be all male, which don’t bite, if females either happen to slip through the process, or for some reason survive, there may be a risk that they could transfer their modified DNA to the host. What the ramifications of this might be is unclear. Oxitec released the first batches of transgenic Aedes aegypti mosquitoes in the Cayman Islands in September 2009.52 Malaysia releases followed in 2010. In July 2012, the company had set up a large-scale transgenic mosquito farm in Brazil. 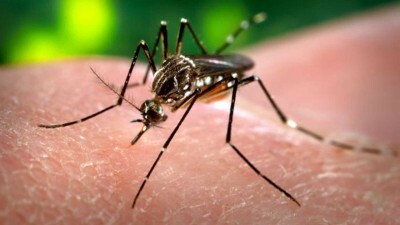 The GE mosquitoes were released into the wild in Juazeiro, Brazil in the summer of 2015, and shortly thereafter Oxitec announced53 they had “successfully controlled the Aedes aegyptimosquito that spreads dengue fever, chikungunya, and zika virus, by reducing the target population by more than 90 percent.” Research54 findings published in PLOS Neglected Tropical Diseases claim the sterile breed had reduced the mosquito population in one Brazilian suburb by 95 percent. Despite such claims of successful decimation of the disease-carrying insect, Brazilian President Dilma Rousseff recently made an announcement saying: “each federal public official has to transform into a combatant against the mosquito and its reproduction.” Thousands of soldiers and state employees have been enlisted to eradicate mosquitoes wherever they may lurk. “We will do everything, absolutely everything in our reach to protect you,”President Rousseff said55 in her speech, addressing all the mothers and future mothers of Brazil — and then she turns around and orders women and children to be fumigated with toxic chemicals! Oh, the tragic irony! Such laboratory-bred male mosquitoes could then be released in the wild to mate with the females of the species who then bear eggs that never hatch, thus reducing the number of insects in a given area without killing any animals or using chemicals. The emergency declaration begins another round of massive profiteering for drug and vaccine companies. And this year, the chemical- and biotech industries get to ride gunshot too. This is how they survive — scaring the heck out of people at regular intervals while making tons of money in the process. As expected, Zika vaccines are in the works, with companies racing to become the first to deliver a remedy,65,66 no matter how poorly tested and ultimately dangerous they might be — all under the auspices of saving tons of lives, of course. Yet it’s worth remembering that any pandemic vaccine fast tracked to market in the U.S. during a “public health emergency” is completely shielded from liability for injuries and deaths. This mosquito is Dr. Frankenstein’s monster, plain and simple. To open a box and let these man-made creatures fly free is a risk with dangers we haven’t even begun to contemplate. We may not like the mosquito, but that doesn’t mean it serves no function in the ecosystem. If we successfully eradicate this mosquito, what might the ramifications be ecosystem-wide? The evidence suggests implicating Zika virus may be a matter of convenience — leaders of the public-private partnership between industry and government are quickly blaming the rise in microcephaly on disease-carrying mosquitoes in order to sell more GE mosquitoes, to sell more toxic insecticides, and to have an excuse to develop and sell more vaccines. All the while, they are keeping hidden some of the most likely culprits — poor nutrition and toxic environmental exposures like pesticides, as well as vaccines given during pregnancy when the fetus is most susceptible to harm. By throwing up a convenient veil in the form of Zika-infected mosquitoes, business can not only go on as usual, but grow and expand profits to boot. I have no immediate answers to this problem, other than a firm suggestion, and that is to put on your thinking cap and assess the situation based on what the actual evidence shows, and do not just go by the sound bytes regurgitated by the talking heads. Sooner or later the insanity must end. We cannot expect a healthy infant and child population when pregnant women are assaulted with toxins at every turn. And MORE toxins is NOT the answer! This really should be self-evident. For all intents and purposes my review of the available evidence strongly suggests that the Zika virus is just another fabricated threat designed to support even further use of profitable but unproven and highly ineffective products like vaccines.